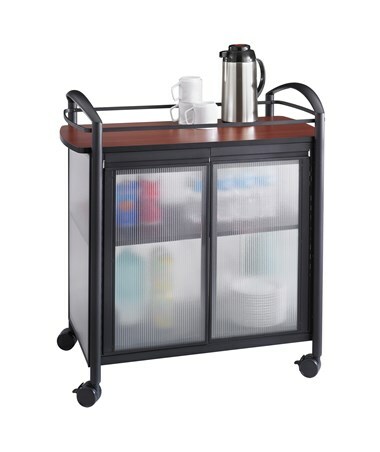 The Safco Impromptu Refreshment Cart is a tough mobile beverage storage unit with generously-sized top great for home and office use. 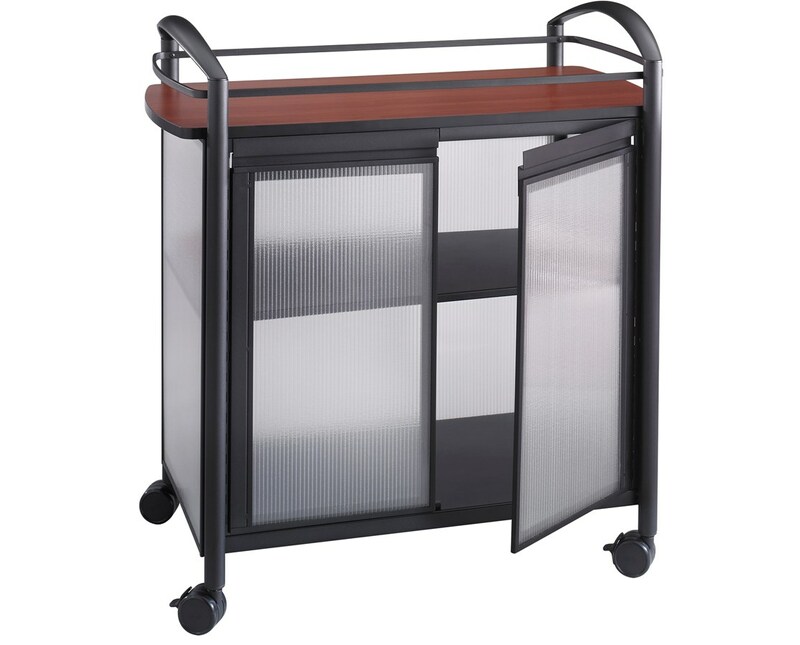 It features translucent side panels that provide a little visibility of the cart’s contents. 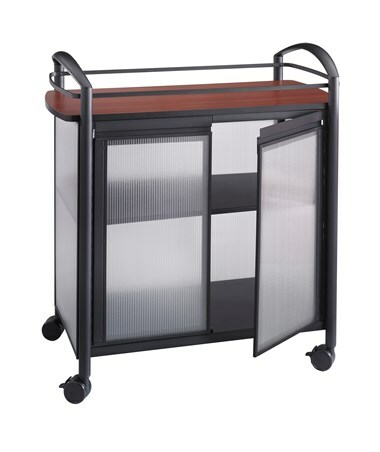 The top is 34 inches wide with a capacity of 100 pounds and inside is a fixed shelf with a 50 pounds capacity that can be accessed through the two-door-opening. Maneuverability is done easily with the four 2.5-inch swivel casters and the curved handles located at the top. Two of the said casters can be locked when desired. The shelves are made of wood with a laminate finish, the panels are polycarbonate, and the frames are made of steel with a powder coat finish. This beverage cart is GREENGUARD certified for low chemical emissions. 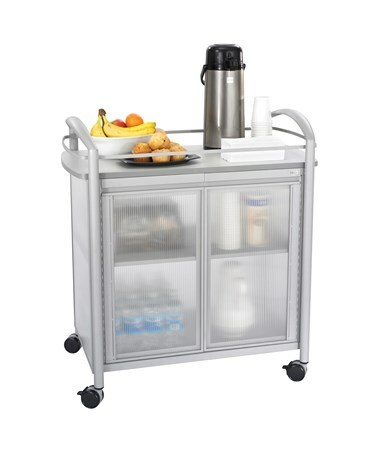 The Safco Impromptu Refreshment Cart is available in different colors. Please select your preference from the choice above.